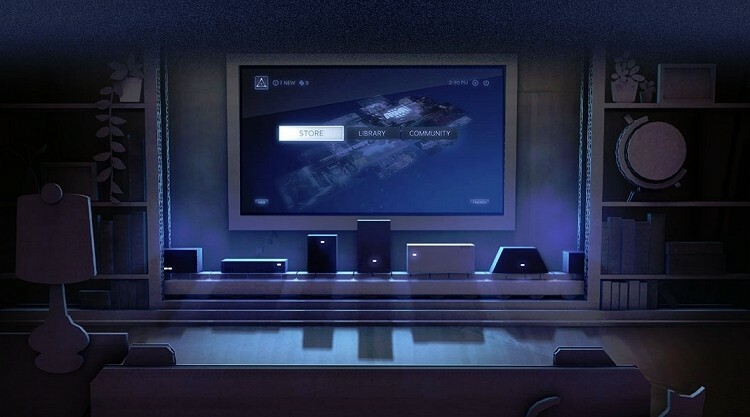 Last week, Valve made three announcements geared towards bringing Steam into the living room, one of which was Steam Machines: a series of gaming machines running SteamOS, produce by hardware partners in conjunction with Valve. In the Steam Universe group today, Valve's Greg Coomer revealed the specifications for their prototype Steam Machines, which will be sent free of charge to 300 lucky beta testers. There are some interesting things to note here from the specifications. Firstly, the dimensions of the case put the system as roughly the same size as an original Xbox 360, albeit a bit longer. While a 10.5" (267mm) long GTX Titan will fit inside, it will likely need to feature a non-standard motherboard to place the card parallel to it, rather than perpendicular like a traditional tower PC (for height reasons). Secondly, these machines will be rather expensive. The top end model will cost at least $1,700, going from parts prices on Newegg, and the lowest-end model from the listed specifications will be at least $800. With an entry level price potentially $300 greater than a next-generation console, Valve may need a lower-end system to tempt buyers. However, these are just prototypes, and no doubt the hardware will be tinkered with before final versions are released. Valve even expects that the beta testers who receive the machines will redesign it, through adding or swapping out parts. The company says they will reveal the design of their prototype Machine before it starts shipping, which hopefully won't be too far away.